James Tanton asked: Reflect an ellipse across each tangent line to it. What curve(s) do the images of its two foci trace? 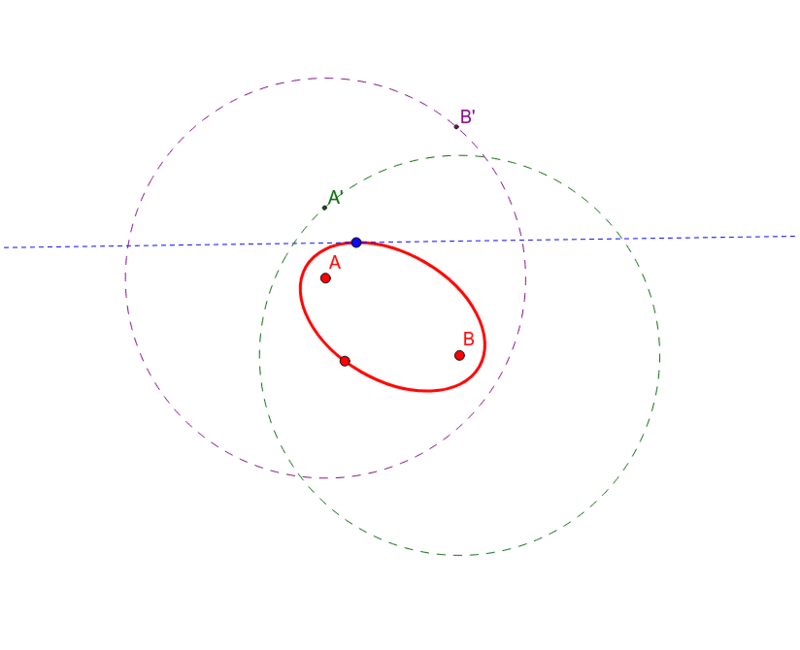 The ellipse shown below can be modified by dragging the three red points. The tangent line can be chosen by dragging the blue point. The reflections of the foci, and the curves they trace, are shown in green and purple. Are the generated curves really circles, as they appear to be? If so, how can this be proved?